I personally really rely on primer. I have oily skin with nice and big pores so when I find a primer that really works my gosh I am a happy girl! 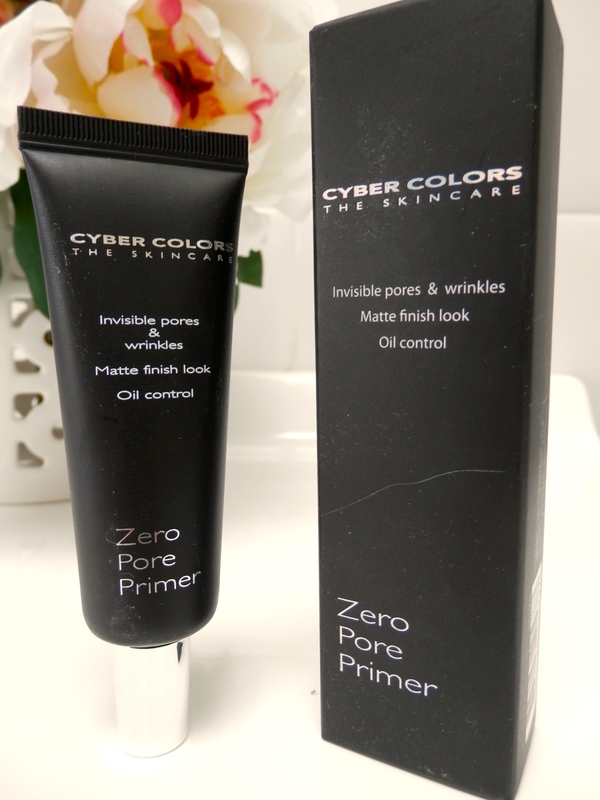 I discovered the Cyber Colors Zero Pore Primer on a recent trip to Malaysia in their drugstore Sasa, which by the way is the most amazing shop ever!, I was told that it is very similar to Benefits Porefessional so I really wanted to give it a go. The texture of this product feels almost identical to Benefits, it is extremely silky and glides effortlessly over the skin filling in the pores along the way. I used this for the first time whilst I was in Malaysia to give it a real go, it was 40 degrees Celsius with 100% humidity so I was really pushing its capabilities. I tell you what, it passed with flying colours! There was definitely some shine at the end of the day but the foundation itself was still there and hadn’t caked or separated. Since then I have used it pretty much non stop, it really keeps my oil under control as well as keeping my makeup in place and lasting for a hell of a lot longer. I have repurchased this since and because I can only find it on the Sasa website I grabbed a couple. Another plus is that it is a fair bit cheaper than the Benefit Porefessional which is always a bonus. I believe this will be definitely be a staple in my makeup collection and when I head to Singapore later in the year I will be checking out what else Cyber Colors has to offer.